Today I am kicking off a week long set of projects I have to share with you! 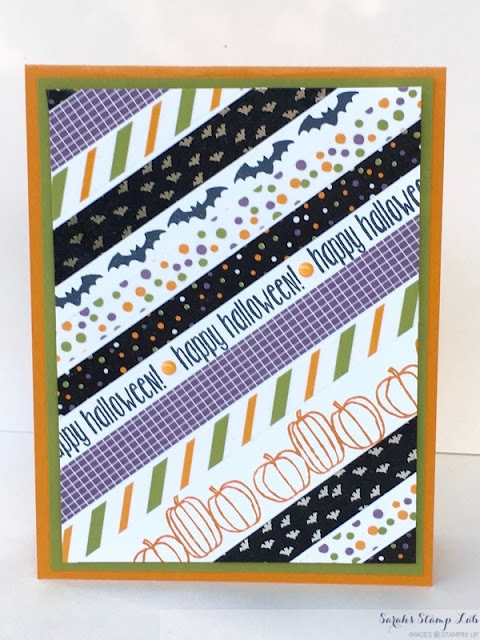 I love creating cards and other paper crafts for Halloween. 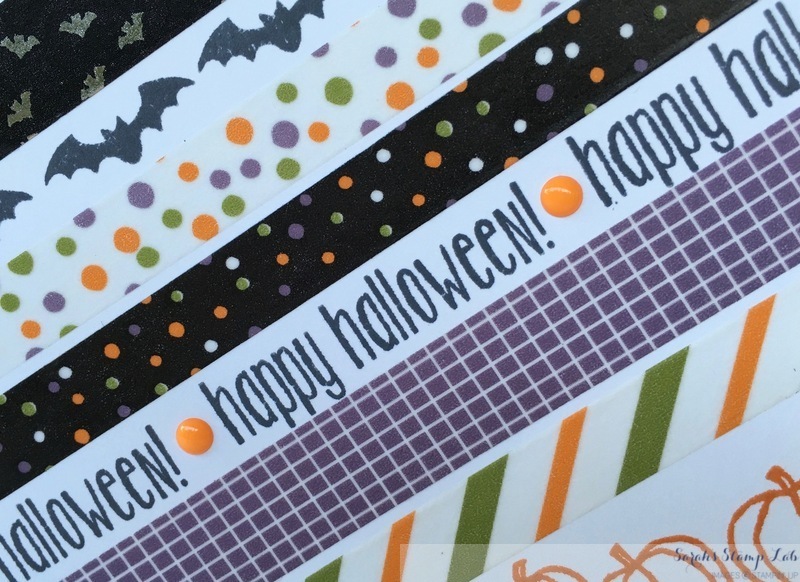 This year there are so many great products to use from the new Holiday catalog for Halloween. Here is a unique (and simple to make) card that you can mass produce to send out of friends and family! Some simple stamping and washi tape really make this card stand out. Here is a close up so some of the stamping. The Spooky Fun stamp set is photopolymer. The clear stamps make for easy placement when repeating the stamping over and over again. Enamel dots add just a little something extra to the card without adding a lot of bulk. 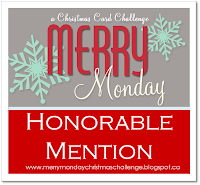 This card can easily go through the mail! Want to recreate this card on your own? See below for cutting dimensions and a supply list. Be sure to check back every day this week. 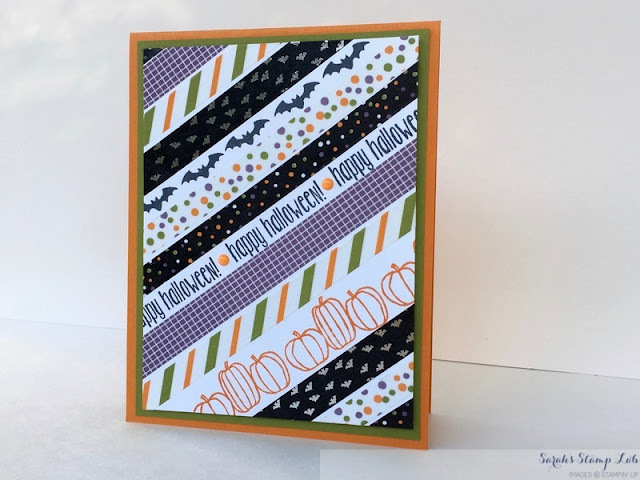 I still have four more days of Halloween projects to share with you! Pumpkin Pie Card base: 4-1/4" x 11"
Old Olive: 4" x 5-1/4"
Whisper White: 3-3/4" x 5"